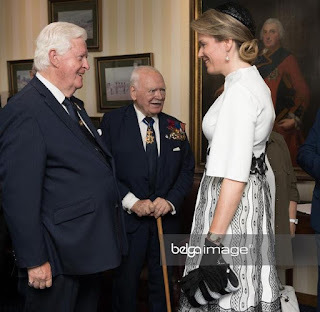 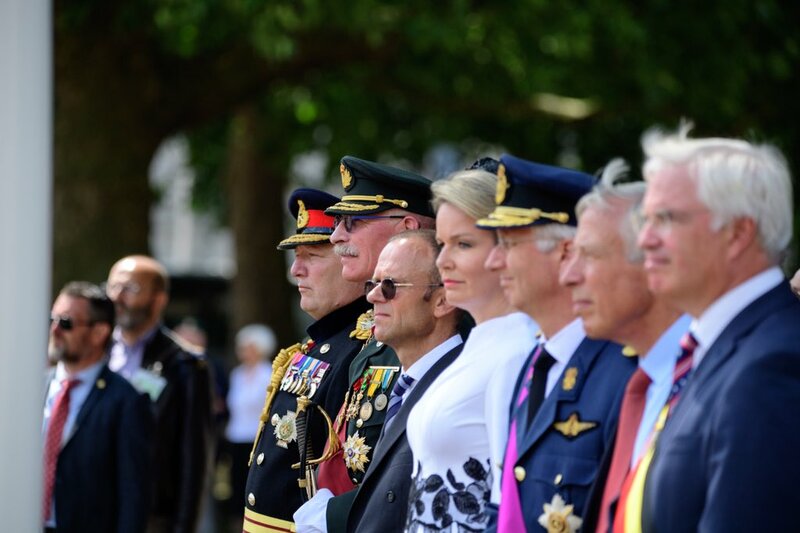 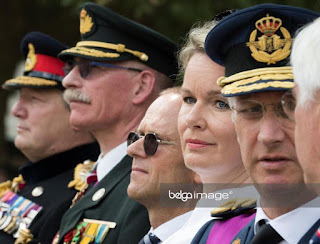 King Philippe & queen Mathilde were special guests at the WWII remembrance at the Cenotaph on Whitehall in London. 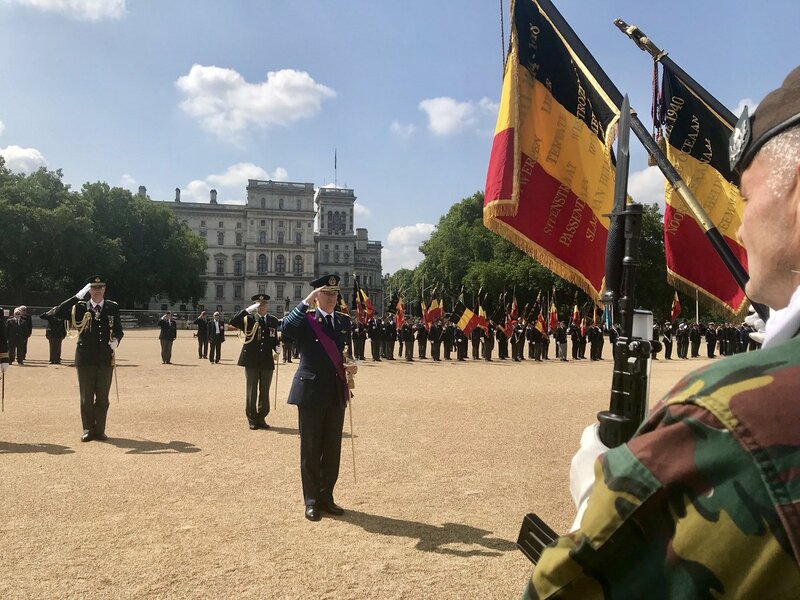 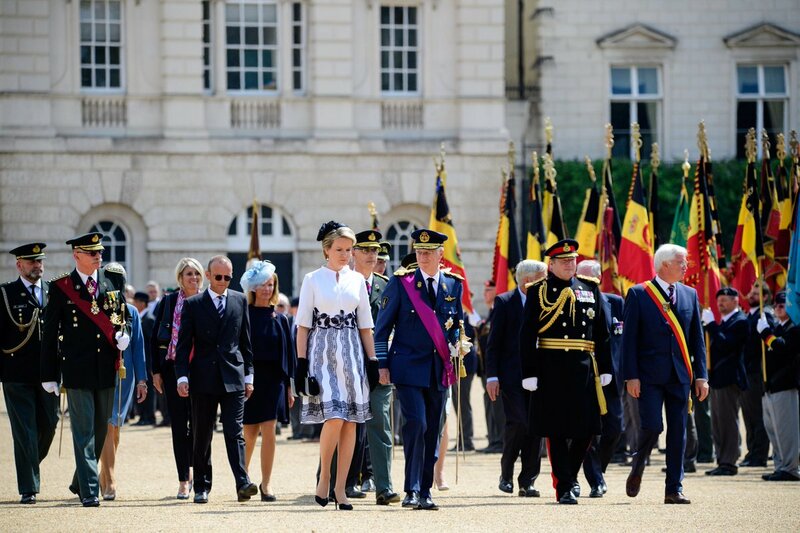 The Belgian soldiers who were killed in both world wars were officially remembered. 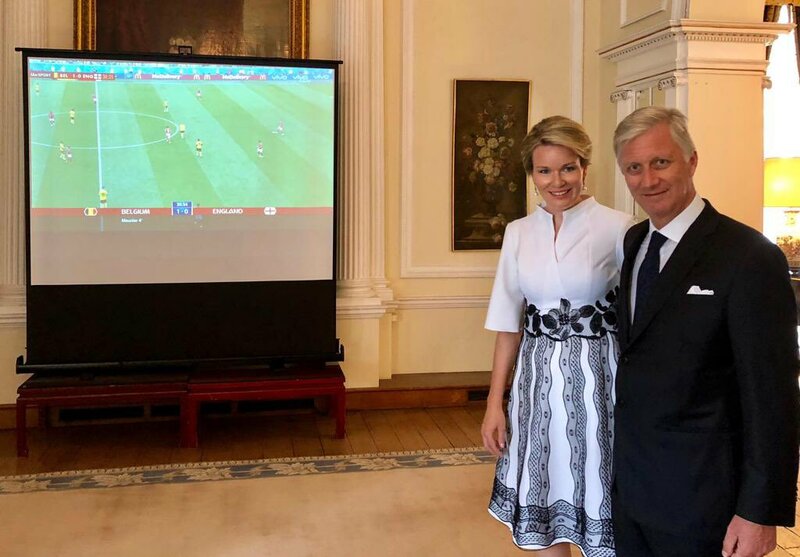 Before the ceremony, the king and queen watched the Belgian Red Devils play the small finals in the world cup against England, and win 2-0! 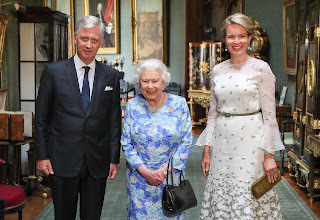 After the ceremony, Philippe & Mathilde met queen Elizabeth II at Windsor castle. 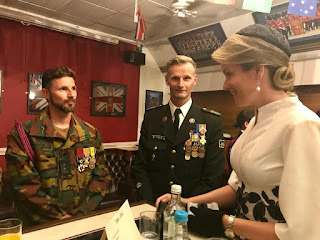 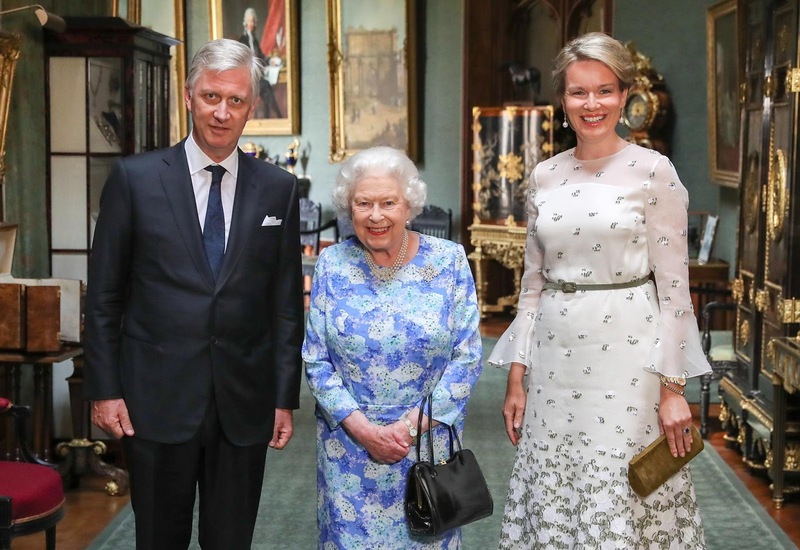 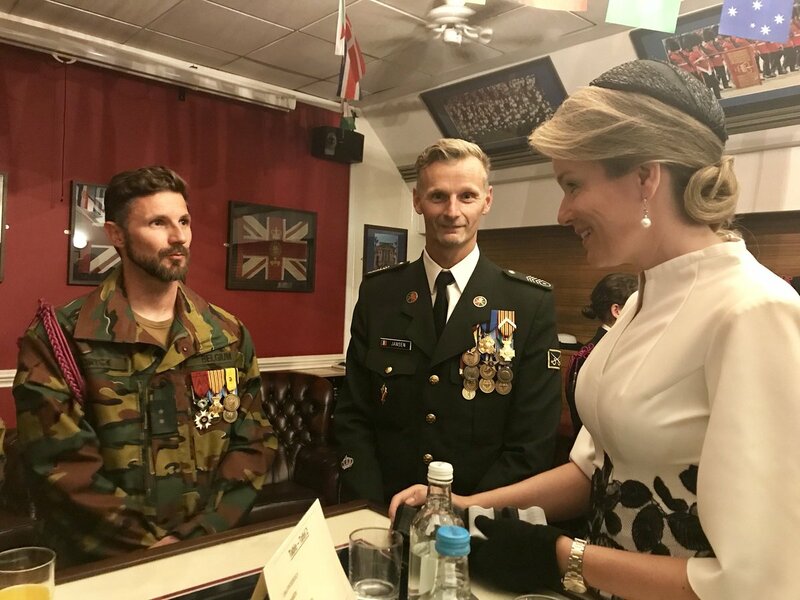 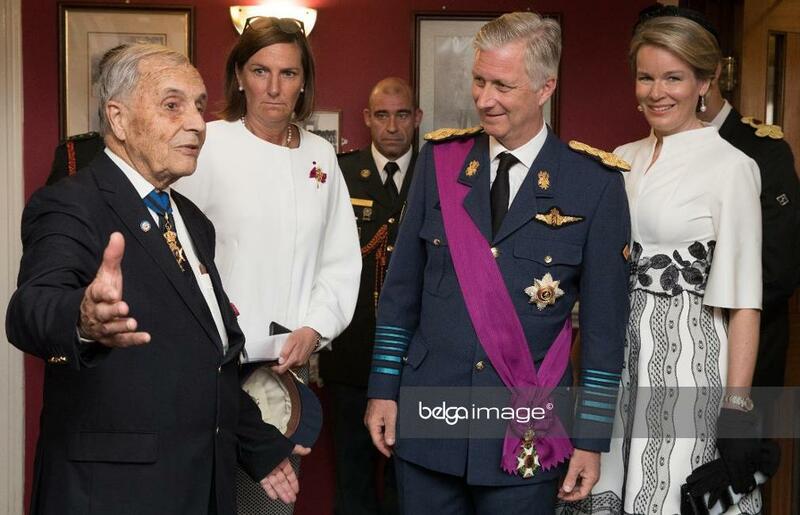 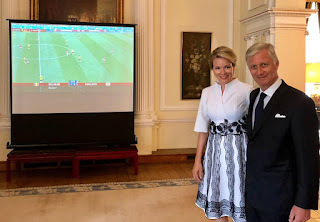 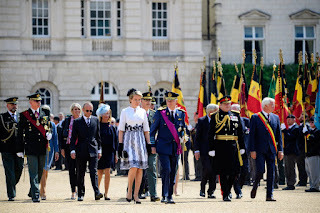 King Philippe later told the Red Devils that Queen Elizabeth had congratulated him on the Belgian win in the World Cup.